The UCHealth Burn and Frostbite Center at Anschutz is the only American Burn Center (ABA)-verified burn center in the Rocky Mountain region. The UCHealth Burn and Frostbite Center at Anschutz in metro Denver is always ready to accept patients with burns and soft tissue injuries of all sizes. Our burn center model provides inpatient and outpatient services in one location. For patients, this means a seamless transition through their entire recovery. We have been Colorado’s premier burn center since 1976. 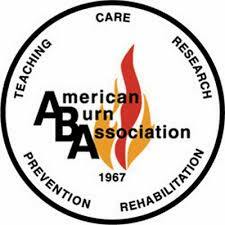 We have been verified by the American Burn Association as a center of excellence since 1998. This designation highlights the care of our multidisciplinary burn team to achieve optimal patient outcomes for their return to both physical and psychological health. At the UCHealth Burn and Frostbite Center at Anschutz, a team of specialists from different areas work together to treat your unique needs. These teams are made up of surgeons, registered nurses, burn technicians, psychiatrists, and pharmacists. Additional staff members include social workers, caseworkers, nutritionists, physical therapists, and occupational therapists. These professionals blend their expertise to maximize your recovery and your quality of life. Physicians: to refer a patient to us, please call 1-844-285-4555 at any time. A referral to the UCHealth Burn and Frostbite Center, regardless of size or type of injury, means that the patient will have access to our team of burn specialists including physical and occupation therapy, nutrition, psychology, and rehabilitation along with exposure to our SOAR (Survivors Offering Assistance in Recovery) peer support program and assistance through our Burn Foundation and burn survivor community. The UCHealth Burn and Frostbite Center offers many resources to facilitate emotional healing post burn injury including Burn Support Group, Survivor Peer Support through the Phoenix Society SOAR Program, and Outreach and Prevention volunteer opportunities. To connect to our burn community, contact our outreach coordinator at 720-848-6054. NOTE: graphic images of wounds in these videos may be unsuitable for some viewers.